Welcome to a new opportunity. Welcome to advertising information about Legion Magazine, the print product. Our handsome full-colour publication is an excellent means of reaching the maturity market. Check out our profile and give us a try. Published since 1926, Legion Magazine engages readers in commemorating the effort, bravery and sacrifice of those who served and continue to serve in Canada’s military. 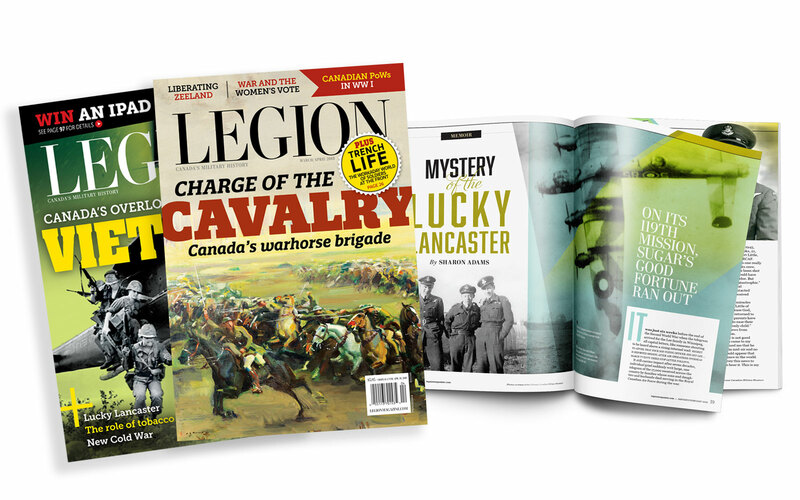 From the War of 1812 to modern missions around the world, Legion Magazine offers a successful blend of words and images on Canadian military history and veterans’ issues. If you are interested in placing a Classified ad with us, please download our rate card.